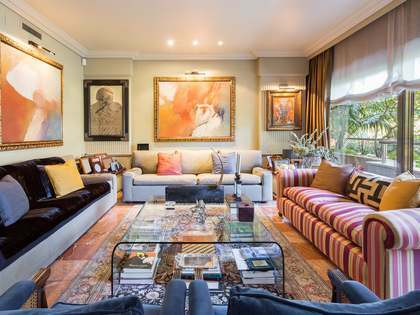 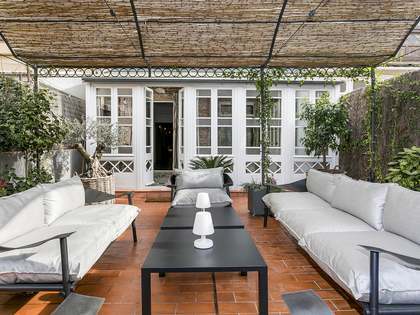 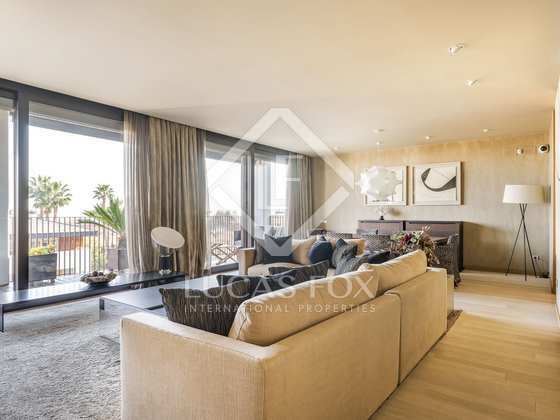 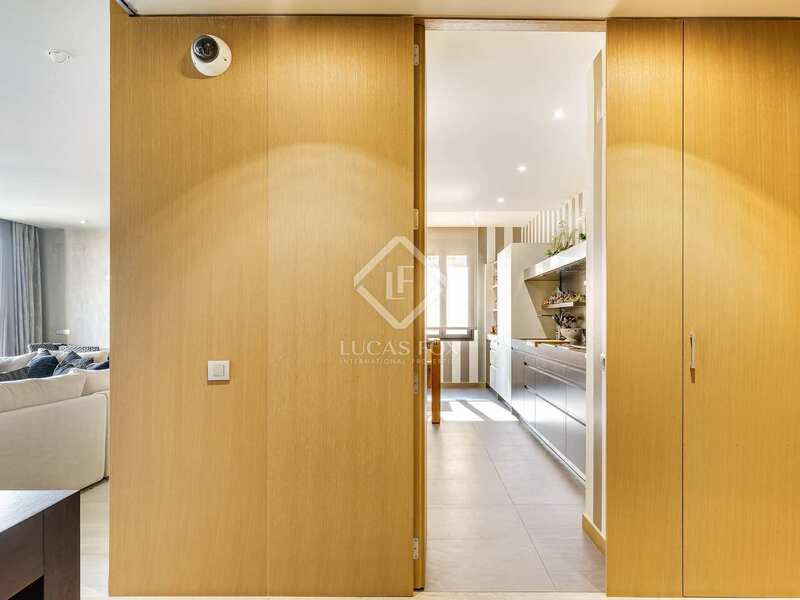 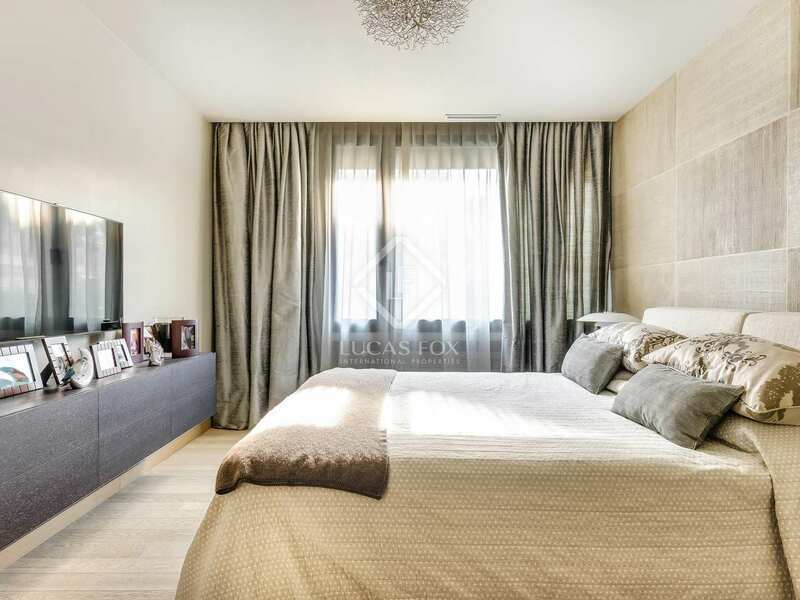 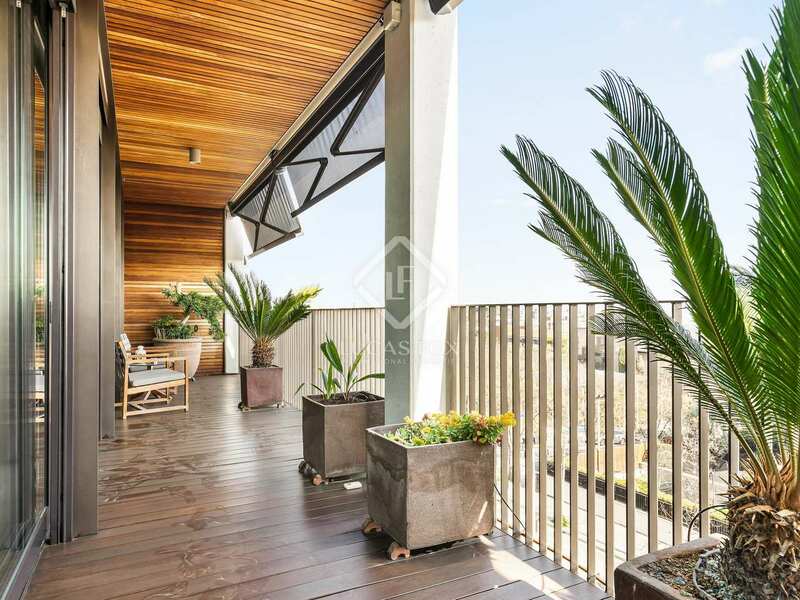 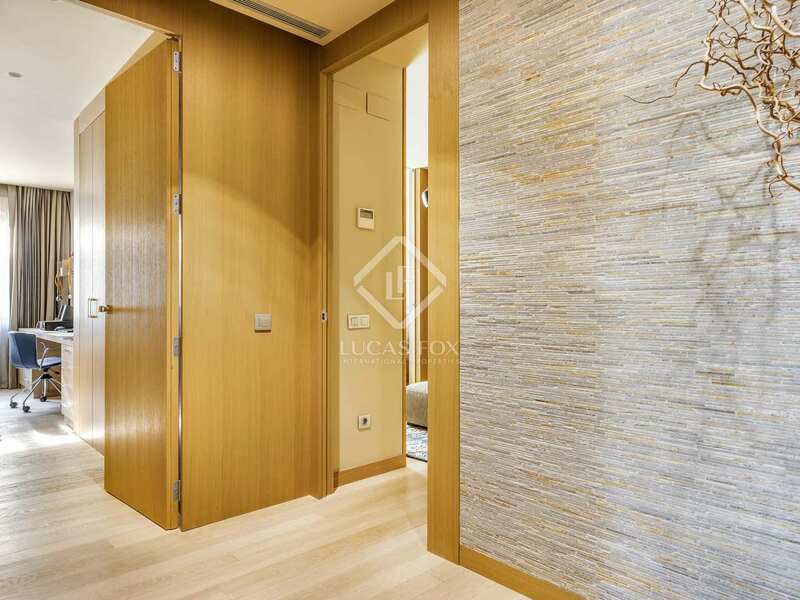 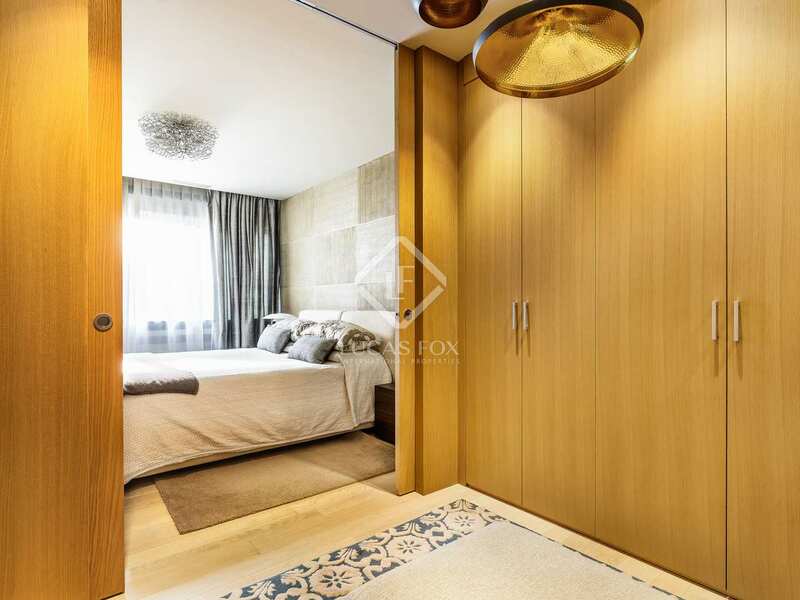 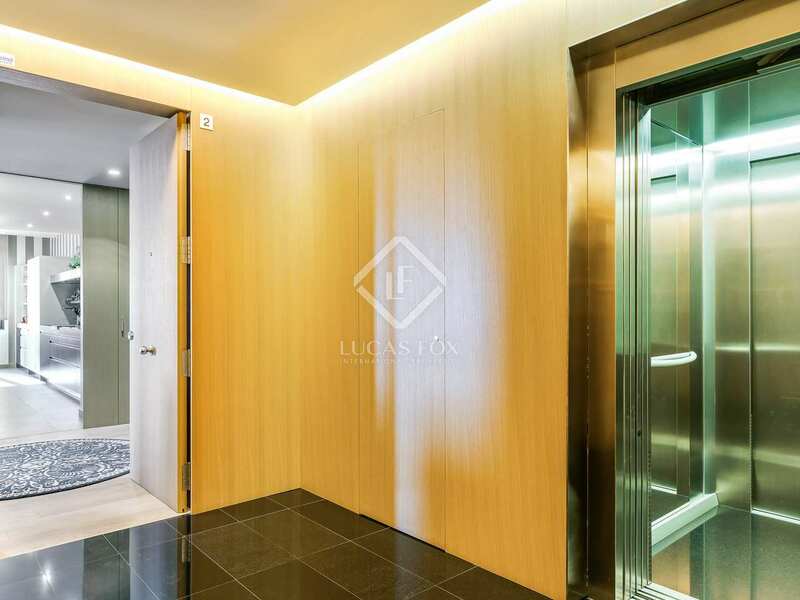 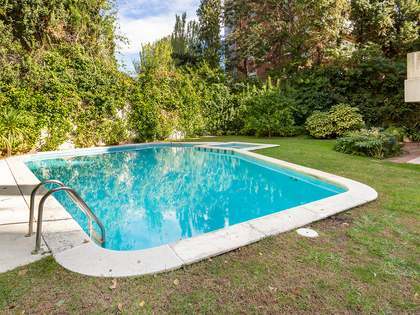 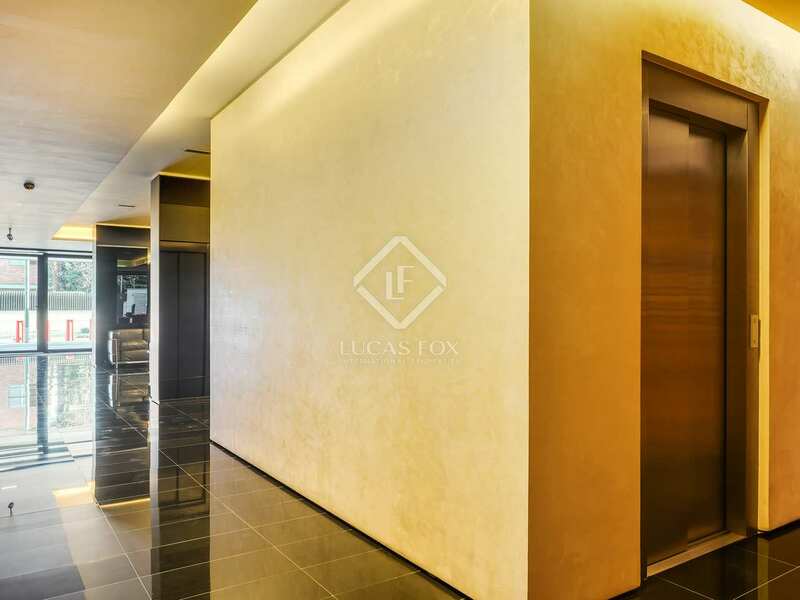 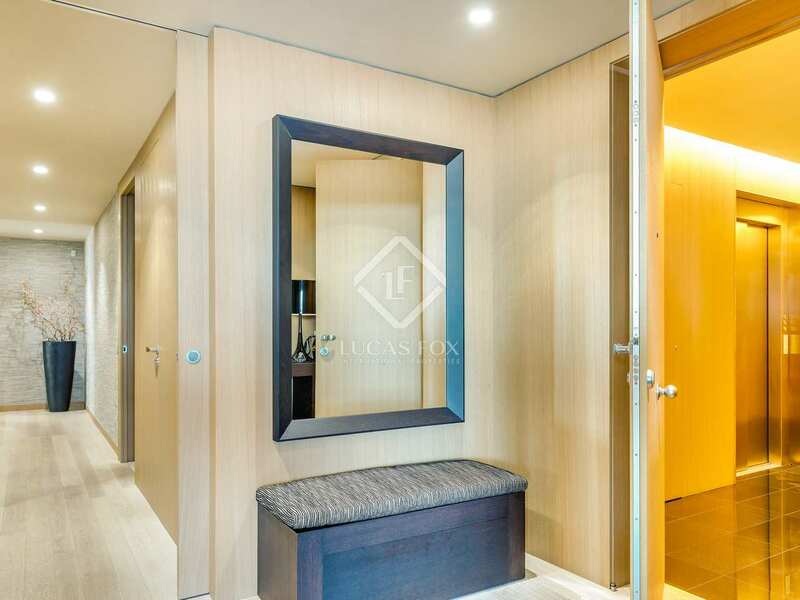 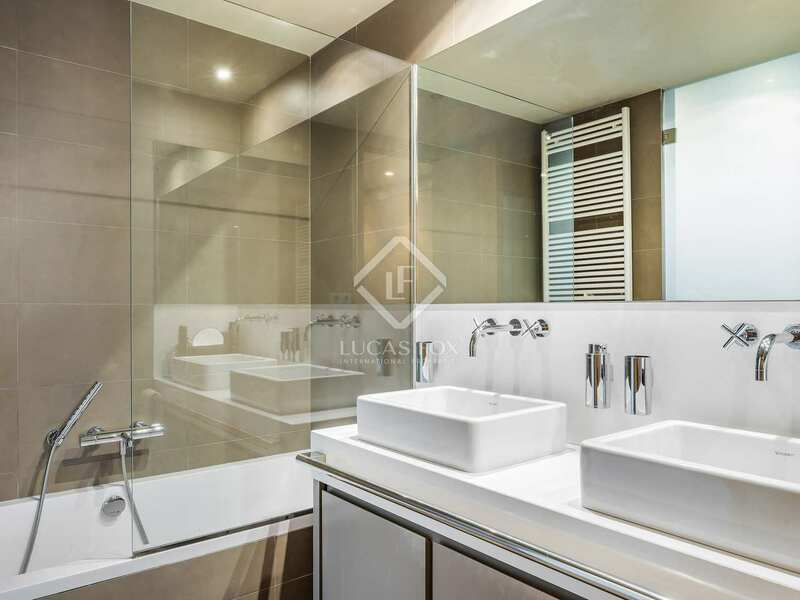 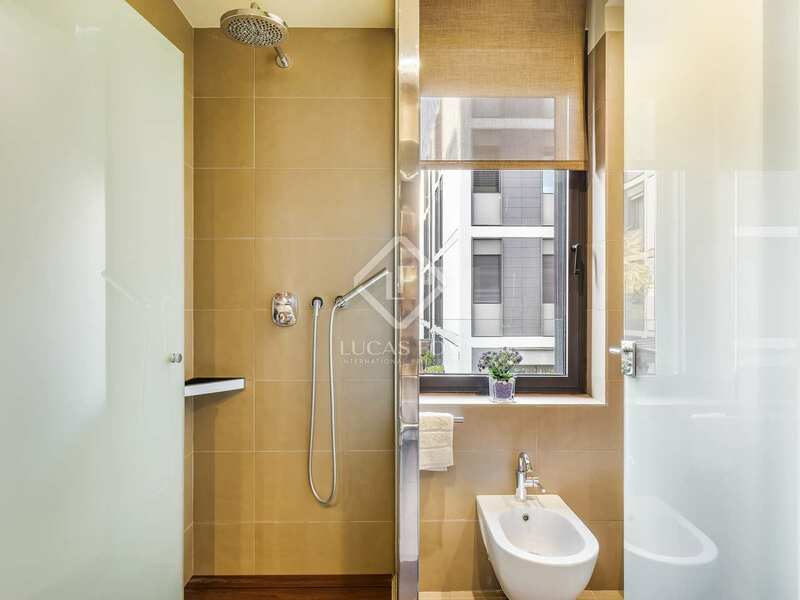 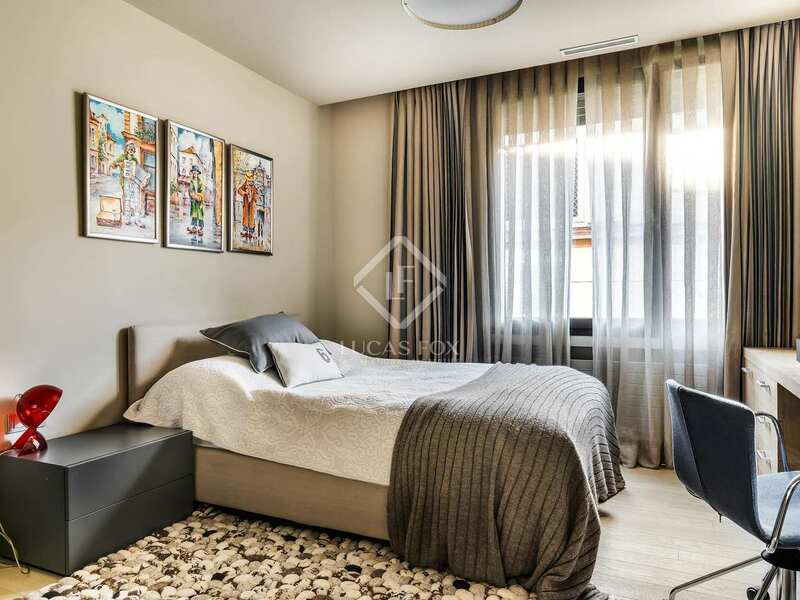 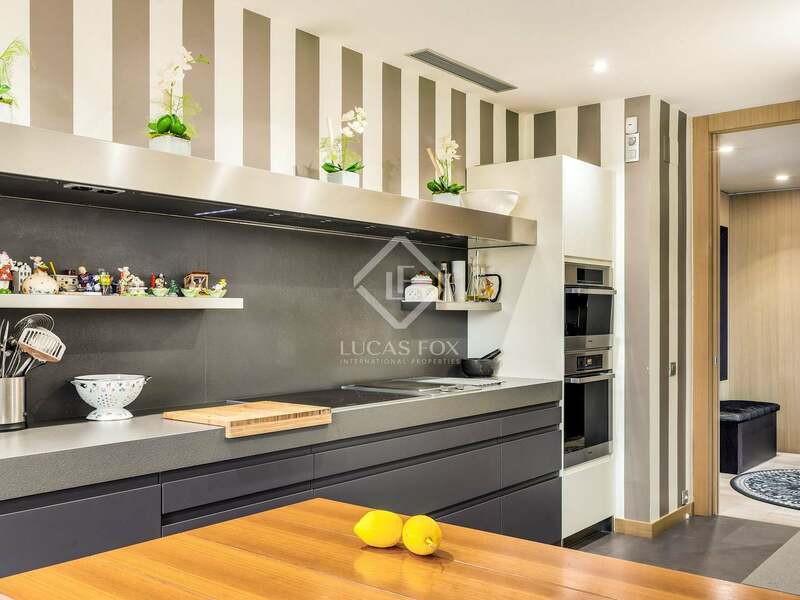 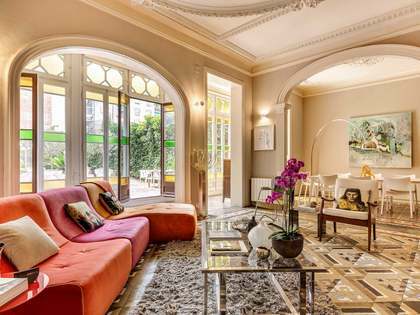 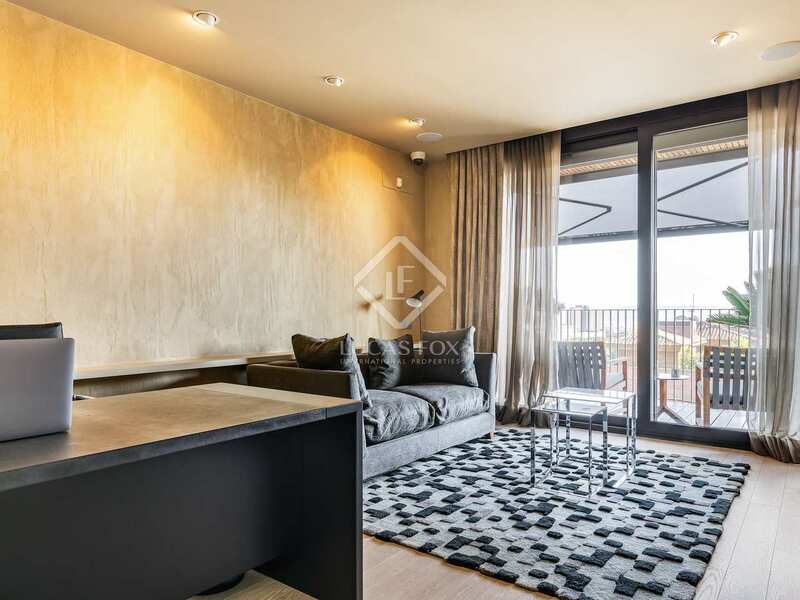 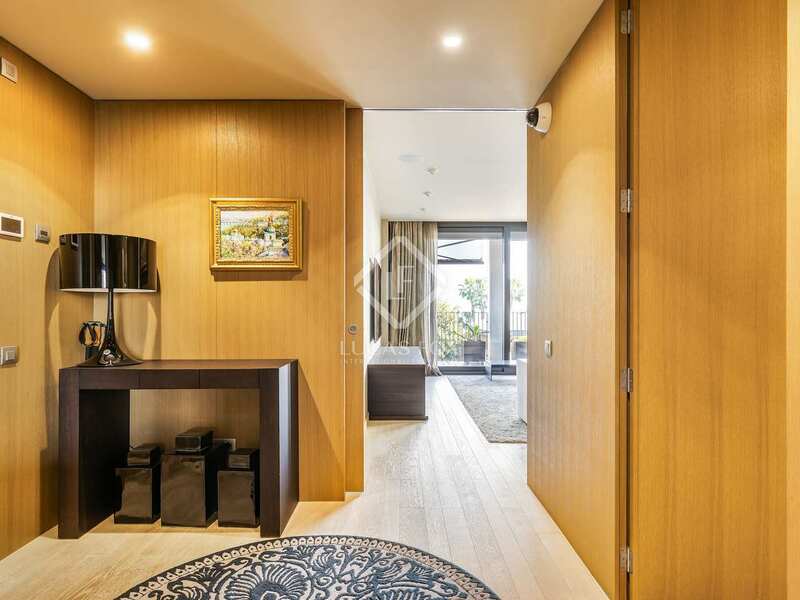 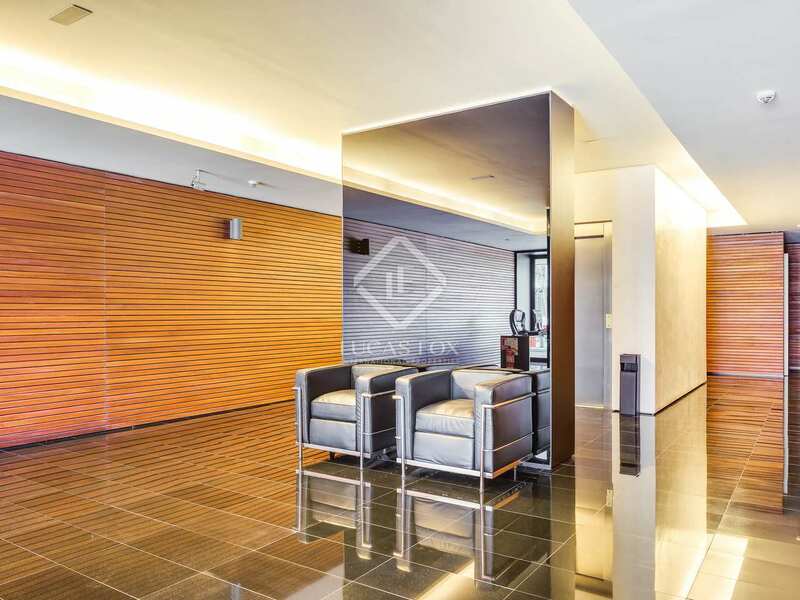 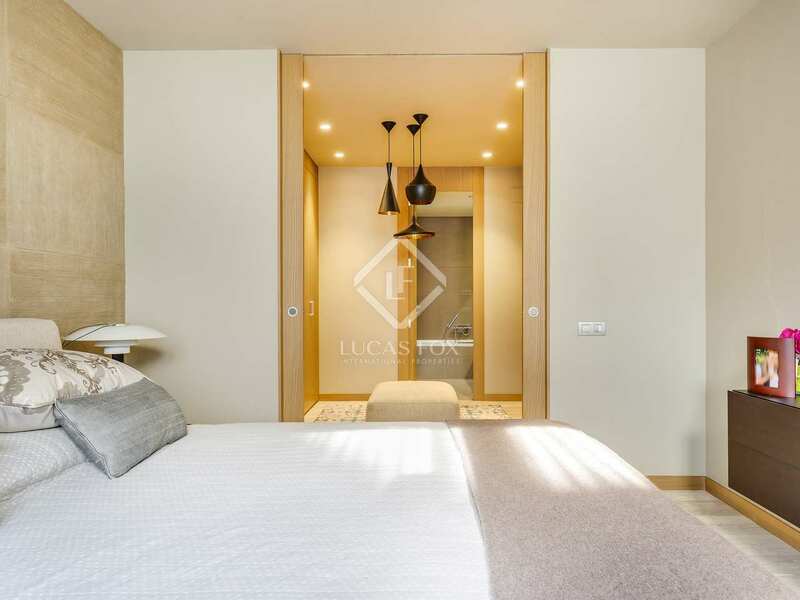 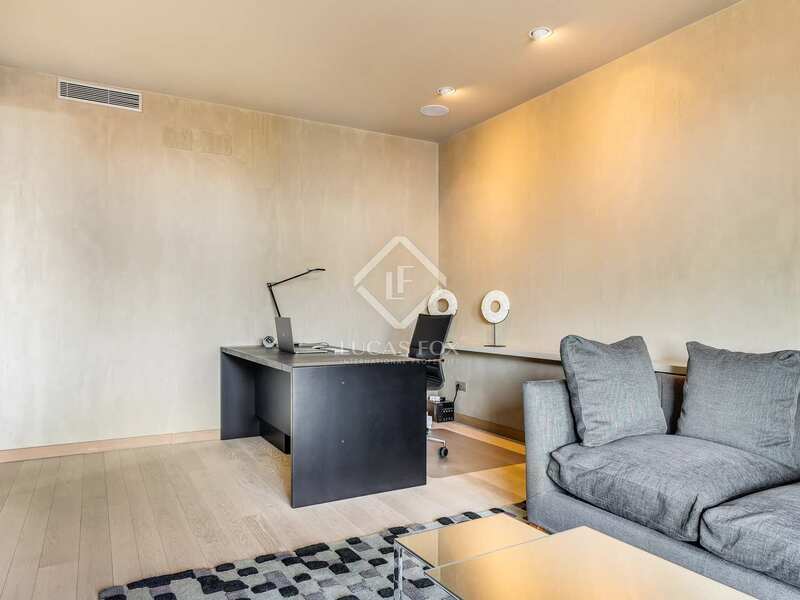 Set in the prestigious Pedralbes area of the Zona Alta, Barcelona's most prestigious neighbourhood, this wonderful 3-floor furnished apartment has been completely renovated to the highest standard. 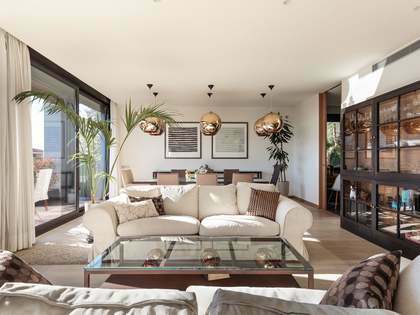 Its bright, spacious rooms benefit from natural light and an exterior distribution. 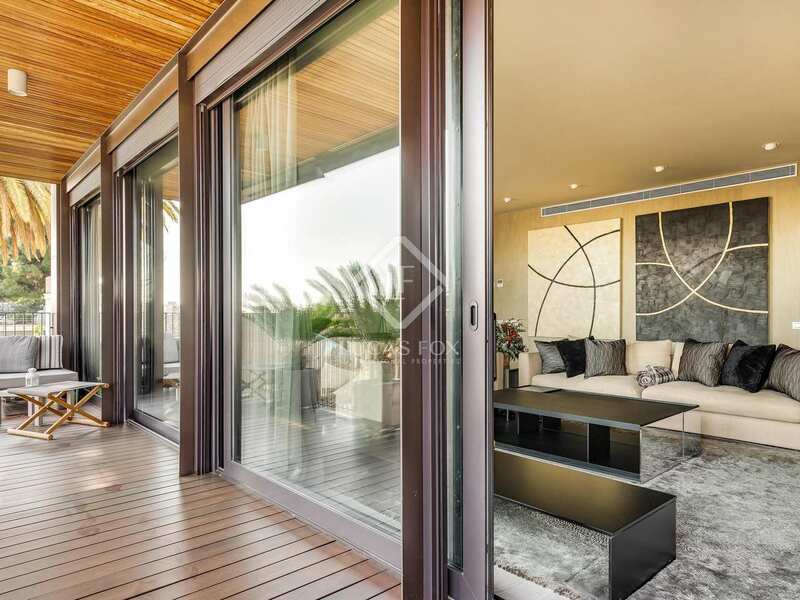 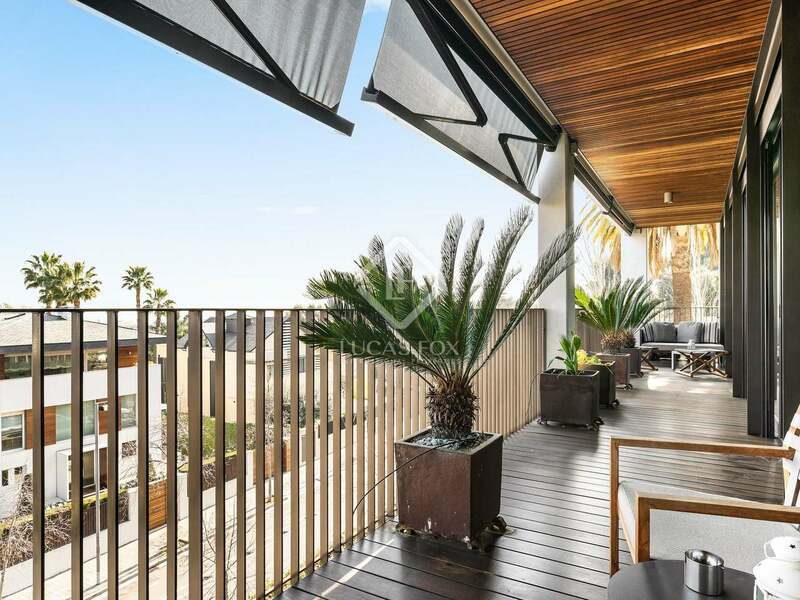 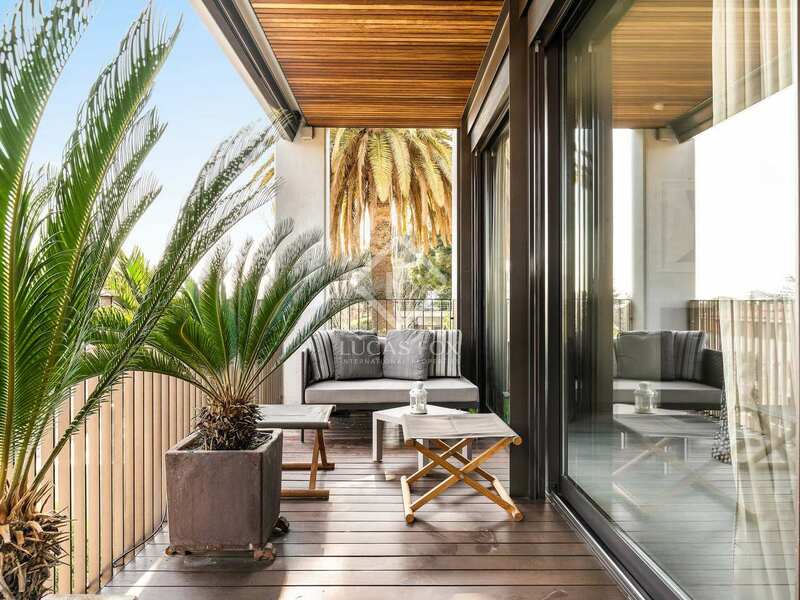 Floor-to-ceiling glass windows and doors bring in the sunshine and provide easy access to the large 30m² front terrace with its quiet chill-out area and fantastic panoramic view across the city to the sea. 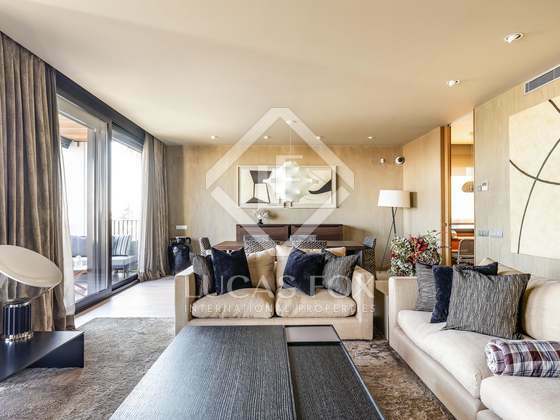 Both the living and dining room and large office-library have direct terrace access, while the fantastic kitchen and breakfast area also enjoy an outside aspect and connection to the living room and its views. 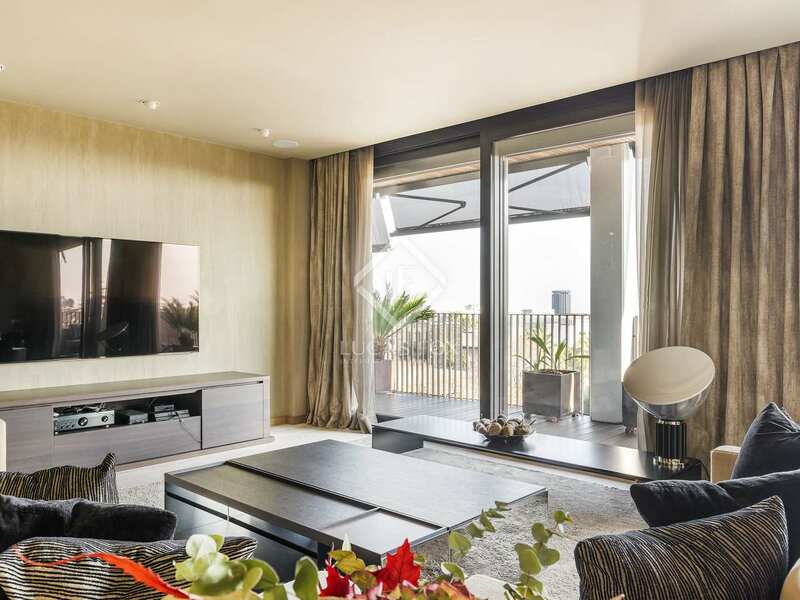 The other side of the apartment is the sleeping zone, and the three wonderful exterior suites all have fitted wardrobes, are finished in soft, relaxing tones and look out over the communal gardens. 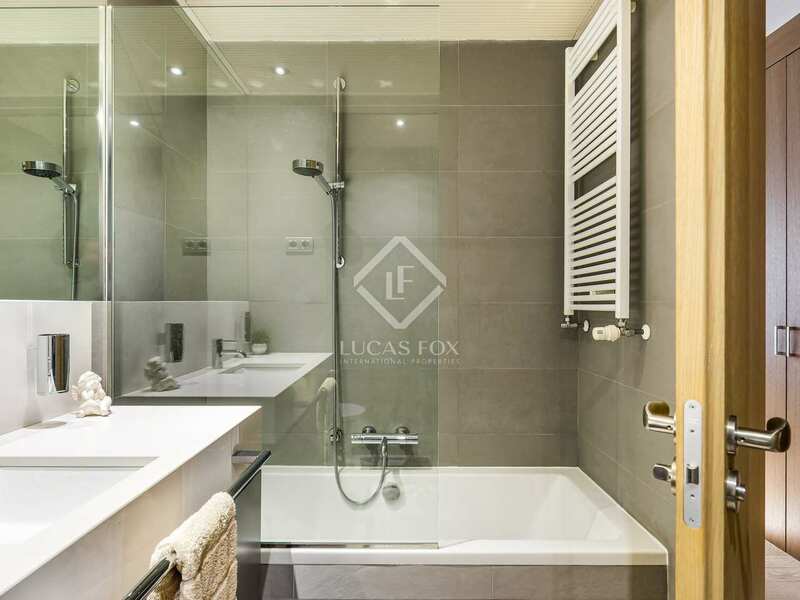 A separate bedroom and bathroom is ideal for staff or guests, and the laundry is also on this floor. 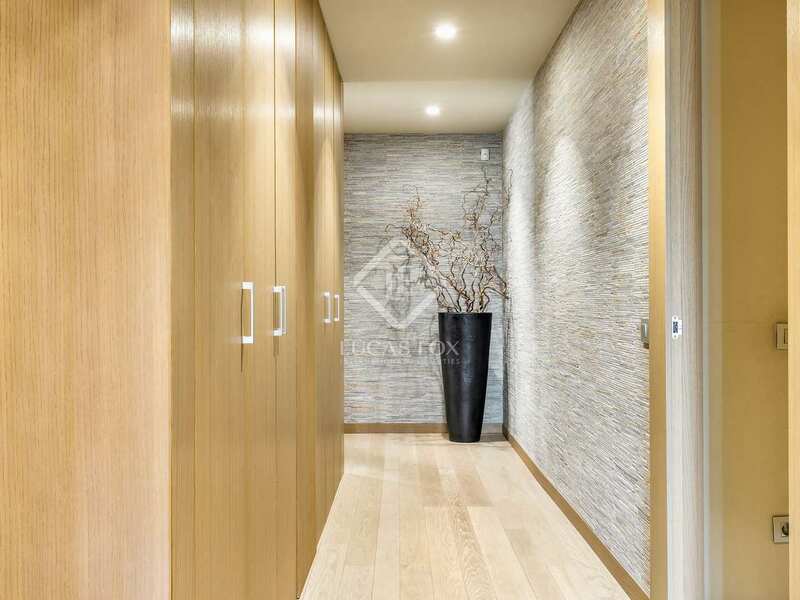 There are 3 parking spaces and a fantastic storage room on the ground floor. 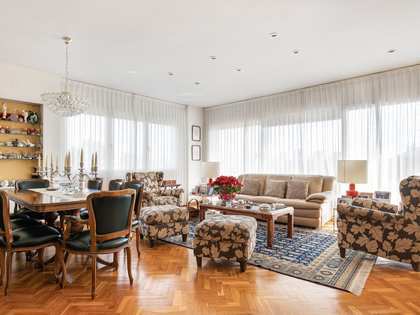 Peace of mind is assured with 24-hour security and a concierge service. 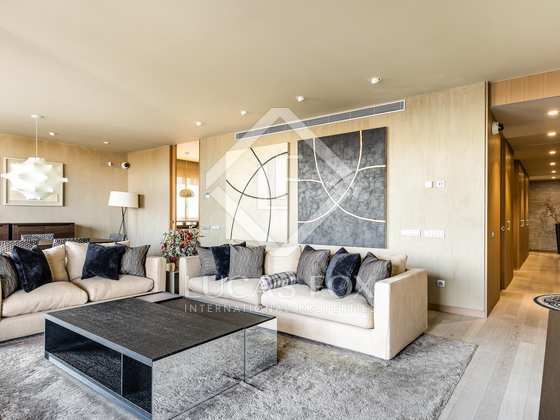 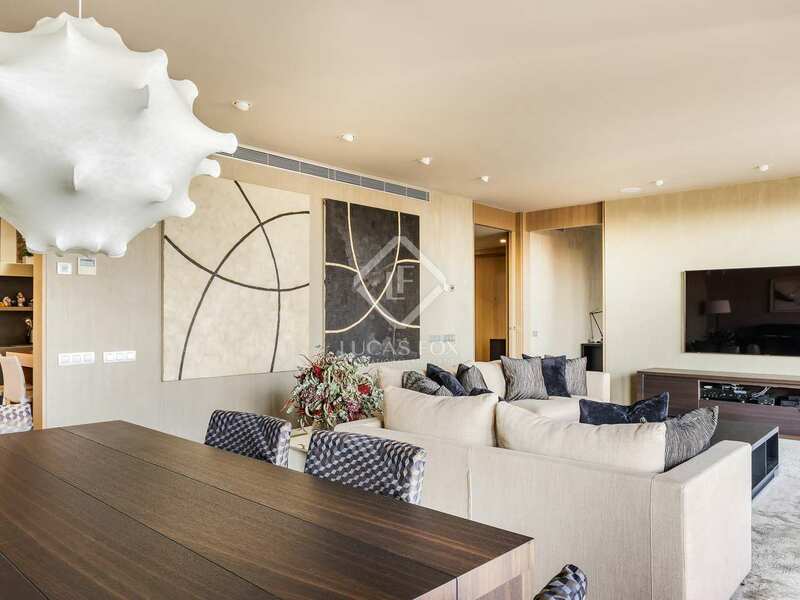 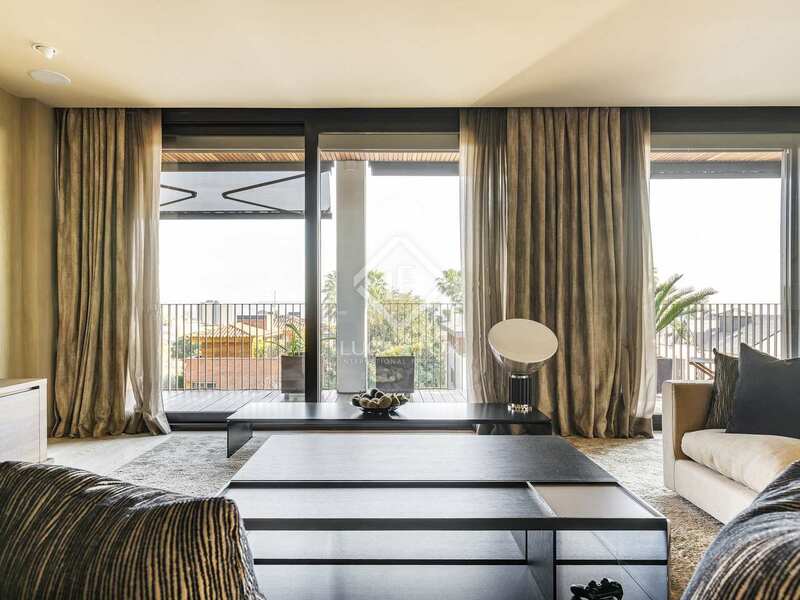 Pedralbes is the most exclusive residential neighbourhood in Barcelona, perfectly positioned in the foothills of the Collserola Natural Park overlooking the city. This is an area of beautiful apartments and large luxury houses with gardens and swimming pools. It is well served by shops, bars and restaurants, while exclusive health clubs and The Real Club de Polo and the Real Club de Tenis add even more prestige to the area. 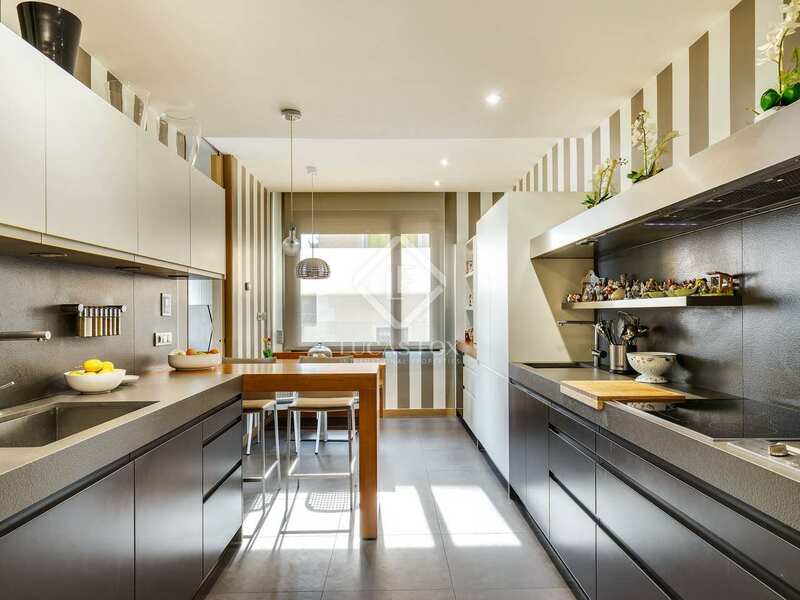 A wealth of excellent international schools makes Pedralbes a very popular area for foreign families seeking to move to Barcelona. 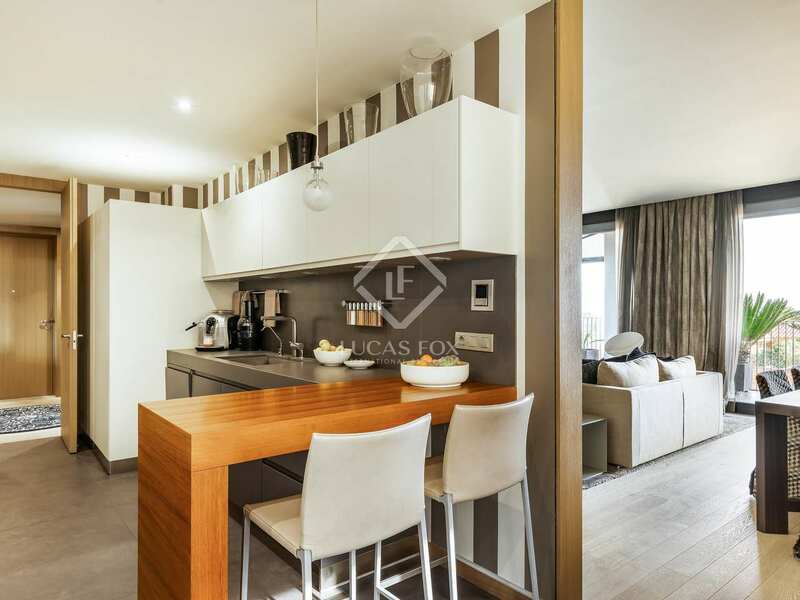 It's also very easy to get into the city centre and fast access the ring roads make the airport just a 20-minute drive away.